Tracy Lansman was born and raised in Maui, Hawaii. She studied at the University of Iowa, Tippie College of Business, and received her bachelors degree in Business Management in 2007. From here she proceeded to work in Hawaii’s leading and fast paced hospitality industry, hotels, and resorts. Eight years was dedicated to attention to detail and ensuring client satisfaction. Tracy and her husband have been living in Texas for five years. Opportunity brought them to Dallas-Fort Worth in 2015. This move provided Tracy with the opportunity being a new career in real estate. With encouragement from her husband, Tracy became a licensed Realtor in 2015. Passionate for customer service and working with people, the transition into real estate was a natural fit. Grateful for finding an excellent area and great neighborhood full of friends, Tracy looks forward to helping clients find their happy place that they can call home. 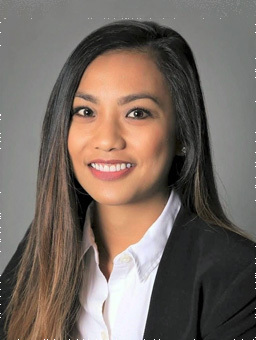 She enjoys working with families, first time home buyers, and millennials that want to go “surban” – the sweet spot between city and suburban living. Thanks Tracy for making my Family’s dream of home ownership a reality! You made the process look so easy and we could not be more happy about all you have done for us. Thanks so much. Jody, Amber, Truitt, Liam and Levi Rowland! Tracy is a positive, energetic and upbeat individual who is able to multi-task and get things done. Her attitude and smile are contagious in any workplace…a true professional with high standards. Tracy is an ultimate professional. She is very dedicated to her responsibilities, is williing to work on any project no matter what time of day and will complete the task with efficiency and above standards. Tracy would be an asset to any organization.